West sophomore Luke Howard finished three for four in his plate appearances Monday against Waverly with a game high three RBI. West senior Garrett Hurd pitched six innings without allowing a single earned run in Monday’s win over Waverly. West junior Cade McNeil is greeted by his Senator teammates after his go-ahead grand slam in the bottom of the fifth inning. WEST PORTSMOUTH – For the first 4.5 innings of their contest Monday evening with Waverly, it felt as if the Portsmouth West Senators were knocking on the door. It took until the bottom of the fifth inning for the Senators to break through, but when they did, they did so emphatically to come from behind and defeat SOC II foe Waverly 8-6 on their home field. What the Senators needed in that moment was a clutch play, and McNeil more than delivered with a bases clearing grand slam with one out in the bottom of the fifth to push West ahead of Waverly 6-5. When he wasn’t hitting go-ahead grand slams, McNeil started out Monday’s game on the mound. But after a rocky start through just one inning, Rapp made a change to bring second baseman Garrett Hurd to the mound, a decision that paid off from the jump. In six innings of work, Hurd allowed just four hits, one run, zero earned runs, and struck out six Tigers batters. When things looked grim early for West, Hurd and his defense behind him bit the bullet and did what needed to be done to give their bats an opportunity to win the game. 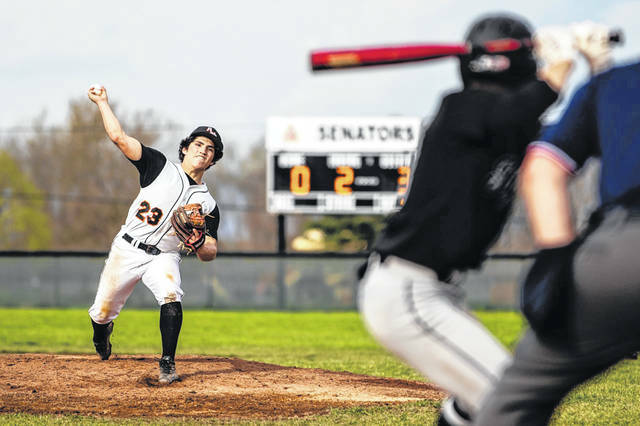 While Hurd and his defense were busy retiring Waverly’s bats, it was time for the Senators bats to come alive. McNeil’s grand slam was the tipping point in Monday’s game between West and Waverly. However, if it weren’t for junior Brennan Bauer getting on base and stealing two bases once he got there and sophomore Luke Howard going 3/4 at the plate with an RBI in the fifth and two RBI in the bottom of the sixth, West may not have been in position to win their third SOC II game in 2019 and fourth overall. 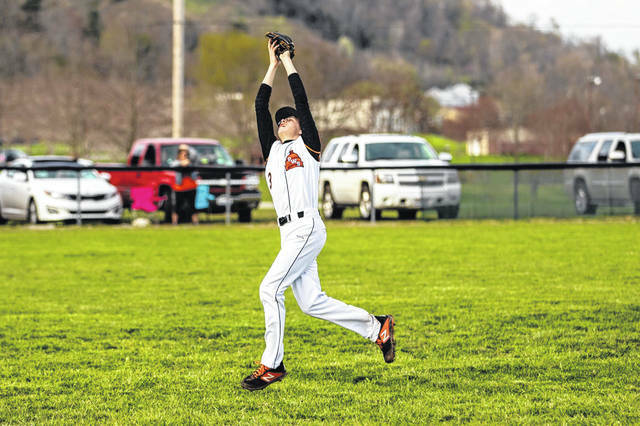 With a revenge win over Waverly Monday after falling to the Tigers on Friday, Rapp and McNeil are hoping this win will help correct the Senators course and better prepare them for postseason play in May. https://www.portsmouth-dailytimes.com/wp-content/uploads/sites/28/2019/04/web1_luke-howard.jpgWest sophomore Luke Howard finished three for four in his plate appearances Monday against Waverly with a game high three RBI. https://www.portsmouth-dailytimes.com/wp-content/uploads/sites/28/2019/04/web1_garrett-hurd-waverly.jpgWest senior Garrett Hurd pitched six innings without allowing a single earned run in Monday’s win over Waverly. 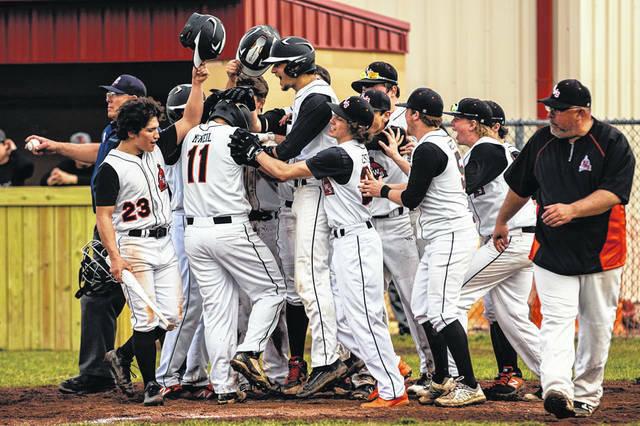 https://www.portsmouth-dailytimes.com/wp-content/uploads/sites/28/2019/04/web1_cade-mcneil-grand-slam.jpgWest junior Cade McNeil is greeted by his Senator teammates after his go-ahead grand slam in the bottom of the fifth inning.